Paris (CNN) A Paris chaplain who tended to victims of the 2015 terror attack in the city has been hailed as a hero once more, after he entered the burning Notre Dame cathedral to help authorities rescue priceless relics from the blaze. 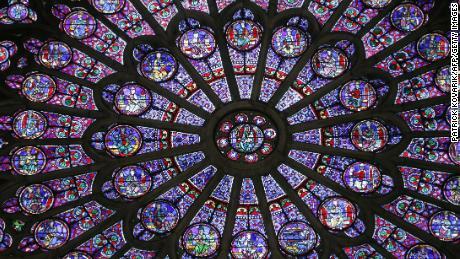 Jean-Marc Fournier, the chaplain of Paris fire service, told CNN he entered the cathedral with firefighters and policemen to help salvage some of the priceless artifacts on Monday night. «The police took the crown and I took the holy sacrament [the wafers, or body of Christ],» Fournier said. Fournier has been praised as a hero throughout social media for his bravery after Etienne Loraillère, the director of the French Catholic television network KTO, posted a picture of Fournier and commended the chaplain. Officials have started relocating numerous artifacts from the Notre Dame, with most being relocated to either Paris City Hall or the Louvre museum.